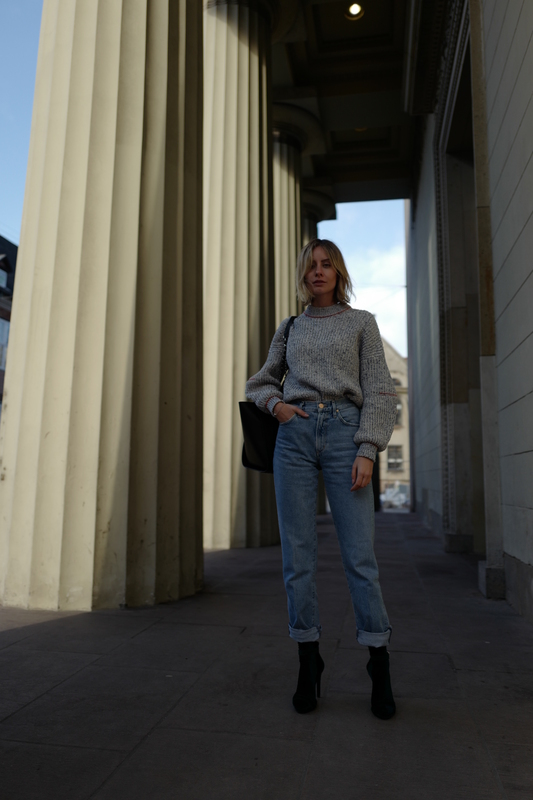 I’m really excited to show you another highlight from Copenhagen Fashion Week. When it comes to a perfect winter wardrobe you definitely need to invest in a warm puffer jacket. 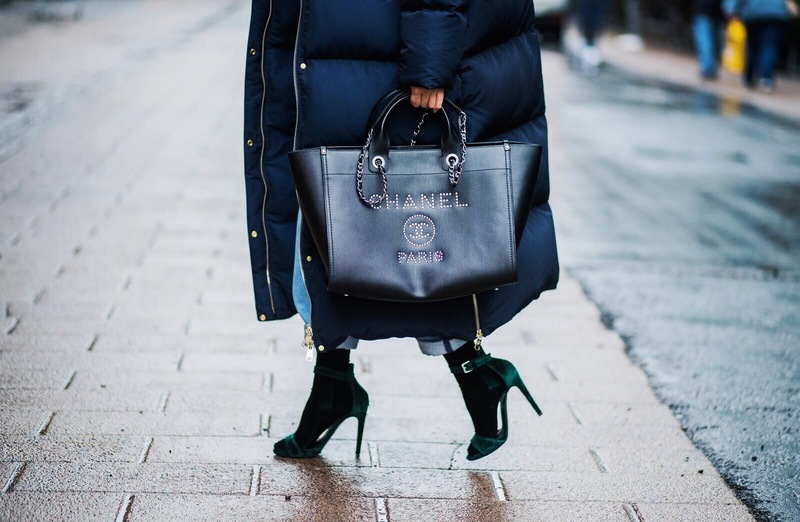 It is no secret that the puffer jacket has experienced a major comeback last season and belongs in everyone’s closet. Even though I can’t wait for summer to finally arrive, the cold temperatures in Copenhagen were the perfect opportunity to wear my new Tommy Hilfiger x Gigi Hadid jacket. I’m totally obsessed with this amazing statement piece. It keeps you extremely warm and guarantees an eye-catching look. I just love simple pieces with a special twist. 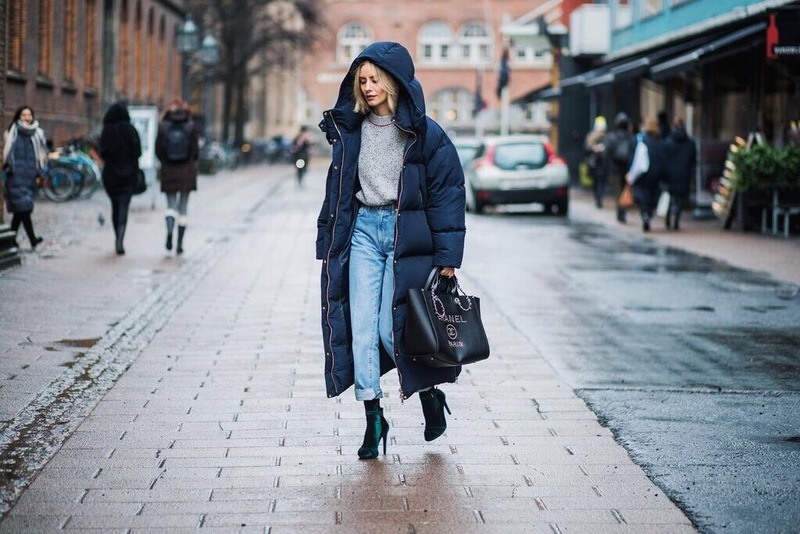 I like the classic quilted down coat style in combination with the huge statement hood and long and oversized fit. Tommy Hilfiger knows how to satisfy their customers and the demand for edgy street style pieces, by blending classic American heritage style with Gigi’s iconic athleisure looks. You can check out the whole collection online. I immediately had a crush on this cozy knit by Victoria Beckham when I first saw it online on Stylebop. Chunky knits are such a staple in my wardrobe. This beautiful sweater is cut in an oversized fit, with long sleeves and dropped shoulders. It is made of a navy, white and grey cotton and wool-blend and is such an elegant yet extremely practical piece. The bright red trims and a small VB stitching, add a nice contrast to the rather subtle colors of the sweater. And again I decided to go for a pair of jeans by Goldsign. The quality and fit is perfect and I already wore a lighter denim shade in my previous post here. I completed my look with my new Chanel shopper and these pretty velvet heels by Mai Più Senza. I already own a couple of their shoes and can only recommend their super fashionable yet affordable designs. Adding a pair of shiny velvet socks, is a great way to upgrade a basic look immediately. I found my jewel-toned pair at The Store Berlin. Velvet is extremely elegant and cozy at the same time. It is a great contrast to the rugged Goldsign jeans and adds femininity to my casual and sporty look. Pairing heels with socks in the same color, has the effect of an elegant ankle boot. I like the way one green picks up the other. I guess, I’m taking the current sock boot trend to a next level. What do you guys think?